X-Men Apocalypse, the third film among the soft-rebooted X-Men cinematic universe, has been widely met with mixed reviews, one of which was written by a colleague, valentinf. I am inclined to agree with the bag of mixed nuts and as an addendum, I’d like to share in detail the finer points of failure. I do so not impartially, as I am an X-Men fan first and foremost. I do so with the hopes that maybe the upcoming fourth film might learn from its mistakes and give us 90s millenials the modernized fanservice we deserve—that is, an effective storyline balanced by the mass scale super power clashes we’ve come to expect in the comics and cartoons. AS THIS IS A MORE IN-DEPTH DISCUSSION, SPOILERS FOR X-MEN APOCALYPSE WILL BE PRESENT, IN ADDITION TO SOME OTHER FILMS (Captain America: Civil War and Batman VS Superman: Dawn of Justice). Storm’s powers were very underutilized, despite having been amplified by Apocalypse. In essence, Storm went from summoning minor winds as a distraction for her thieving ends to… shooting lightning bolts? Not once did she actually control the weather on a massive scale, which defined Ororo’s moniker as a goddess in the first place. I guess the entire budget went to Magneto’s worldwide magnetic cataclysm. Newcomer Psylocke was a bigger issue. In her most memorable scene, Psylocke is able to slice through a car using her signature pink psychic blade. Fair enough. But when she converts her blade to a whip and manages to subdue Beast in a stranglehold, suddenly she can’t cut through his thick neck? Don’t even get me started with the over-Sylar-ized Apocalypse. 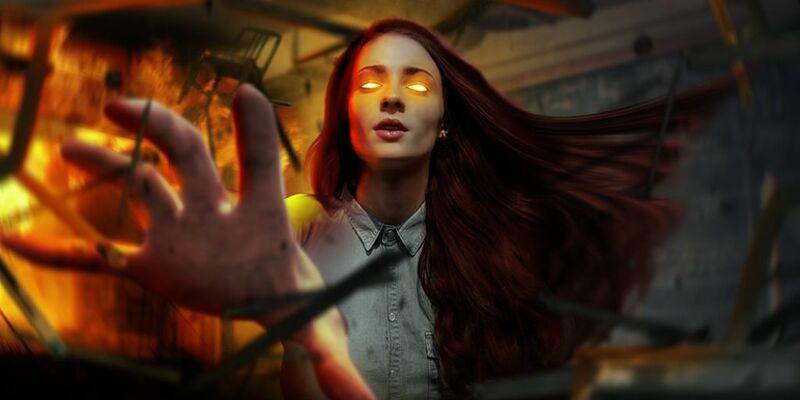 It is important to define the powers of each mutant clearly, through showcase, dialogue, or preferably both, as it gives watchers the parameters of what each character is capable of and what might define their weaknesses. In turn, this will allow a more fluid plotline as it gives the heroes a recognizable objective. Not to say that the movie didn’t do it at all… just that it wasn’t done clearly. The last thing we want is a rehash of the Batman VS Superman scene, where Clark charge-stabs Doomsday with the kryptonite staff, sacrificing himself in the process. Meanwhile, Wonder Woman—who is competent and durable enough to close the gap against Doomsday—is not given the staff to which she is immune. 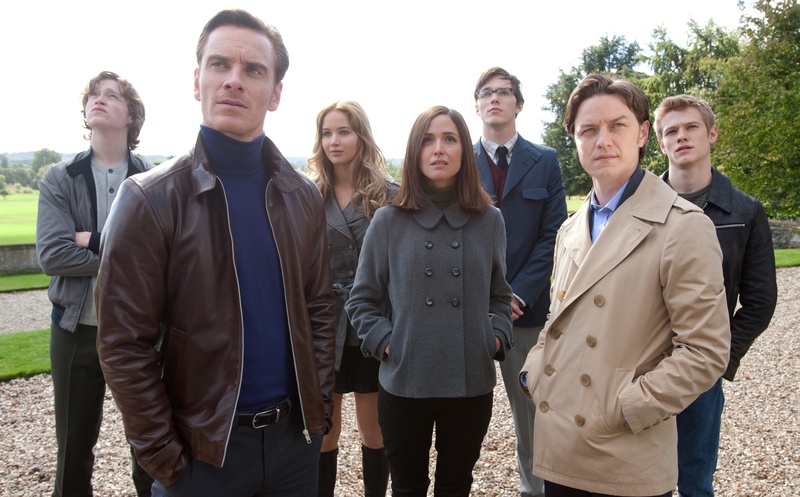 X-Men: First Class took place primarily in 1962, 21 years prior to X-Men Apocalypse. We can forgive Mystique barely aging, as her shape shifting mutant cells could explain her stunted age. But for the rest of the cast whose debuts were in First Class—Magneto, Xavier, Beast, Havok, Moira—21 years were good to their baby faces. Cripes, did the entire makeup budget go to the three, blue-skinned mutants? I dread to think what the next movie, set to take place in the 90s, will look like. On the surface, it might seem like critiquing the non-aged appearances of fictional mutant characters would be superficially pointless. But just being real, this serves as 1) a distraction to the plot by virtue of a lack of believability and 2) a ruination of overall continuity. 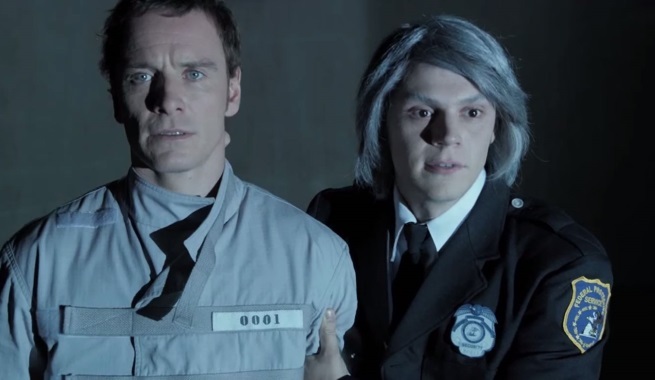 Lest we forget, it was only in Days of Future Past where we are reminded of Xavier and Magneto’s aged, future selves. They’re supposed to look similar to Patrick Stewart and Ian McKellen by the year 2000, when the first X-Men film took place. Bottom line is: if continuity isn’t to be respected, how can one expect the same of the film? This is where the Marvel Cinematic Universe has an edge over Fox’s X-Men. As valentinf has pointed out in his review, the Apocalypse storyline does not diverge. There were no red herrings… simply a deux ex machina in Jean Grey. In Captain America: Civil War, following a lengthy sequence of “Mission Report: December 16, 1991”, we learn that Tony Stark and Steve Rogers had a much more connected past, where the actions of one indirectly led to the other’s tragedy. In Batman VS Superman, the rivalry between two titular characters dissipated once they learn of each other’s strongest driving force—their mothers (however conveniently). Both of these pivotal moments were meant to be plot twists—whether the watcher foresaw them coming or not—which diverged each storyline to a relatively unexpected dénouement. Apocalypse had none of that… or at least a marginal one when Xavier and Jean invoked a battle with En Sabah Nur in the Astral Plane, via a persisting mental connection borne out of the latter’s failed assimilation attempt. Still… several scenes showcasing and foreshadowing Jean’s deadly capabilities would have been nice. Instead we are given dialogue of her potential power, which she then magically conjures up by the film’s conclusion. To be crystal clear, I enjoyed X-Men: Apocalypse, as it happened to be my third favourite X-Men film released thus far. Quicksilver and Magneto were character highlights, as the script happened to accentuate their relatable motivations a lot more than some of the others. Although she joins Mystique (Romijn-Stamos), Lady Deathstrike, Angel Salvadore, Angel Dust, and Arclight in a string of almost muted female minions, my favourite X-Man ever—Psylocke—gets the reward for best action scenes. More notably, she lives, hopefully to reappear as a good guy in the next film (and X-Force too, why not?). Cyclops finally gets to do something and Wolverine finally gets to do next to nothing. Hallelujah, it’s a miracle! However, I happened to recognize where the film might fall short… and it’s nice to articulate these points in response to the inexhaustible “the movie sucked”s in social media. And as I have argued, these points are not necessarily rooted in the action scenes (as I found the fight scenes more grandiose than those of First Class or Days of Future Past’s). Rather, I think the critics found a disconnect primarily in the story’s fluidity. Somewhat undefined, somewhat inconsistent, and somewhat convenient. Mediocre for some, I can see why the film did not exceed expectations.